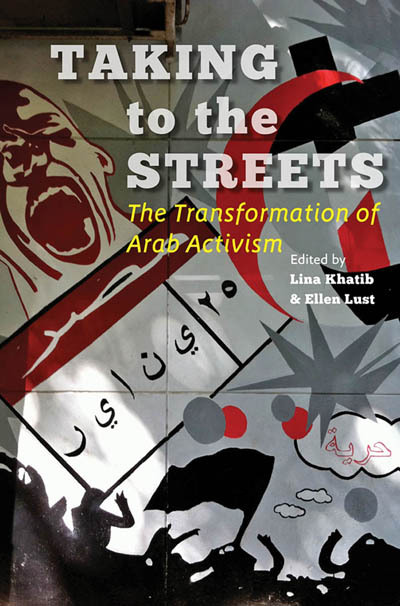 A critical look at the dynamics of activism in the Arab world since the Arab uprisings of 2011 and the interplay between the domestic and regional contexts in different Arab countries. Taking to the Streets critically examines the conventional wisdom that the 2011 Arab Spring uprisings happened spontaneously and were directed by tech-savvy young revolutionaries. Pairing first-hand observations from activists with the critical perspectives of scholars, the book illuminates the concept of activism as an ongoing process, rather than a sudden burst of defiance. The contributors examine case studies from uprisings in Tunisia, Egypt, Libya, Yemen, Syria, Bahrain, Morocco, Jordan, Kuwait, and Saudi Arabia, evaluating the various manifestations of political activism within the context of each country's distinct sociopolitical landscape. The chapters include a country-specific timeline of the first year following the uprisings and conclude with lessons learned. First-hand observations include those of Libyan activist Rihab Elhaj, who reflects on how the revolution gave birth to Libyan civil society, as well as Syrian writer and human rights activist Khawla Dunia, who discusses how Syrians have tried to remain steadfast in their commitment to nonviolent resistance. A foreword by Prince Hicham Ben Abdallah El Alaoui—third in succession to the Moroccan throne and consulting professor at Stanford University's Center on Democracy, Development, and the Rule of Law (CDDRL)—provides a historical overview of activism in the Middle East and North Africa. A postscript from CDDRL director Larry Diamond distinguishes the study of activism from that of democratization. Taking to the Streets will be used in courses on Middle East politics and will be relevant to scholars and the general public interested in democratization, political change, and activism.